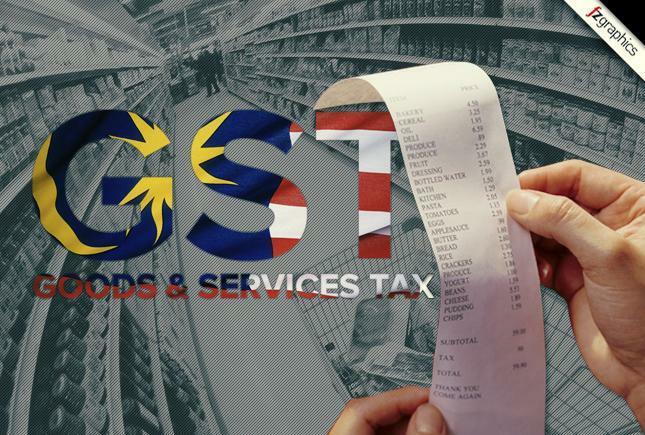 KUALA LUMPUR (Sept 15): Prime Minister Datuk Seri Najib Razak stressed today that the implementation of the Goods and Services Tax (GST) is a responsibility that he must see through. Najib said conditions are suitable for the imposition of the broad-based tax. The GST will be introduced in April next year at a rate of 6%. "As the prime minister, it is my responsibility to make the right decisions for all Malaysians. I have always maintained in politics you have to make the right decisions, not just the easy and popular or populist ones. I believe that the GST is the right tax and probably, at the right time for Malaysia," he said in his speech when opening the International Seminar On GST In Malaysia. Justifying the implementation of the GST, he said the tax would result in a stronger economy by reducing the nation's deficit which was at 3.9% last year, while increasing the competitiveness of businesses. He said as a significant portion of the government's revenue was derived from the finite resources of oil and gas, Malaysia needs to diversify and expand its tax base as well as implement a more effective, equitable tax system. "The sales and services tax no longer fit for a rapidly-growing and economically-progressive economy such as Malaysia. "The GST will eliminate inherent weaknesses in the current tax," he said, while modernising the current tax system, resulting in greater efficiency. Najib said the government would provide an incentive package worth RM150 million to help ease small and medium enterprises (SMEs) into the GST programme. The package includes financial assistance and tax incentives for the purchase of GST-related software and hardware, and other forms of deductions, he said. Najib said the one-off RM300 BR1M payments and income tax reductions would help the lower and middle class group, and ease the GST impact on both groups. He also said the National Pricing Council and the Price Control and Anti-Profiteering Act 2010 would curb profiteers from arbitrarily increasing prices of goods.